13 Mar 2018 --- UK lobby group Action on Salt is demanding health warnings on Chinese takeaways, and ready meals after a new survey reveals their “staggeringly high” salt levels. With some of the meals containing “as much salt as five Big Macs,” the group is calling on Public Health England (PHE) to “create a level playing field”: getting tougher on setting salt targets, making front of pack labeling mandatory and putting warning labels on restaurant menus. “Our data shows that food can be easily reformulated with lower levels of salt, so why haven’t all companies acted responsibly?" asks Sonia Pombo, Campaign Manager at Action on Salt. "The lack of front-of-pack color-coded labeling on branded products makes it incredibly difficult for consumers to make healthier choices and that is simply unacceptable,” she adds. The UK could follow the example of other countries, “In Chile all supermarket products must display a black and white octagonal warning sign on front of pack if salt levels are above 400mg sodium (1g of salt) in solid foods (per 100g) and above 100mg sodium (0.25g of salt) in liquid foods (per 100ml). This highlights at a glance that the product is high in salt and makes it easier for the public to find ones with less, and could be an option for the government to consider,” Mhariri Brown, a nutritionist at Action on Salt, tells NutritionInsight. According to the survey of Chinese takeaway meals purchased from restaurants in London’s famous Chinatown, 97 percent contained 2g of salt or more per dish. Over half, 58 percent, provided more than 3g of salt per dish. This is half of an adult’s maximum recommended daily intake in one portion alone. Combining side dishes would consequently provide far more salt than the recommended daily limit for the whole day – 6g per day. Regarding supermarket meals, Action on Salt “named and shamed” a range of large UK supermarkets and suppliers. 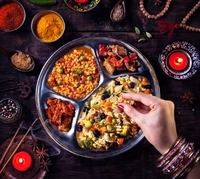 It found that of the 141 ready meals surveyed, nearly half, 43 percent, were high in salt (containing over 1.5g per 100g or 1.8g per portion). These ready meals would receive a red label on the front of pack. 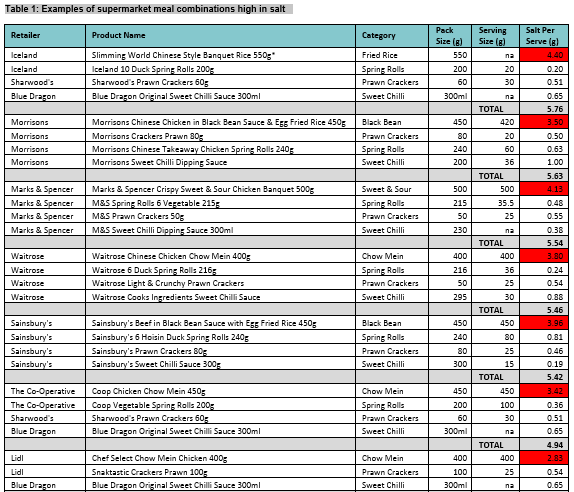 NutritionInsight has reached out to the named manufactures, including Tesco, Marks and Spencer, and Iceland. The group describes the current sodium situation as scandalous, saying that there has been no progress report on whether or not the last set of targets (due to be met by the end of 2017) have been reached, and nor are there vocal plans to set new targets. The group vocalized criticism last year, among concerns that the 2017 sodium reduction targets were not being met. An Innova Market Insights analysis of low sodium claims in Europe (2011-2015), strongly indicated that the UK leads for low sodium claims, accounting for 29 percent of all new product launches tracked with these claims in Europe. Among the top 3 are the Netherlands and France with respectively 11.1 percent and 15.1 percent share of product launches tracked with a low sodium claim. Other countries each account for less than 5 percent of the low sodium claimed new product launches tracked in 2011-2015. It must be noted that most sodium reduction has been done by stealth reformulation, with no strong product claims having been made.